MALAYSIA: Express Rail Link Sdn Bhd (ERL) continues on its aggressive digital partnership drive by partnering with Distribusion Technologies GmbH (Distribusion), a Berlin-based leading global distributor for airport transfer and intercity bus rides that enables travel retailers (travel metasearch engines, online travel agents, airlines, global distributors) to connect easily with airport transfer and bus operators worldwide. USA: Dallas Fort Worth International (DFW) Airport and Trinity Metro welcomed the start of TEXRail service at Terminal B, offering customers the first public transportation option to directly connect DFW Airport to downtown Fort Worth. DFW’s construction of the station cost $39 million and took 19 months to complete. From Terminal B, customers can access other terminals via Terminal Link (pre-security) or Skylink (post-security). TEXRail is the second train line to connect the Airport to the DFW metroplex, with the Dallas Area Rapid Transit (DART) Orange Line providing light rail service between DFW Airport and Dallas since 2014. Ticket fares are $2.50 one way or $5.00 for an all-day pass. Trains run daily from Fort Worth starting at 3:30 a.m. and arriving at the Airport before 4:30 a.m. The last train will leave DFW at 1:00 a.m. TEXRail will operate seven days a week, with trains running every 30 minutes during peak hours. FRANCE: SNCF Gares & Connexions and Air France partnered up to offer in-town baggage drop-off service to customers travelling to Paris Charles de Gaulle Airport from Paris Gare du Nord railway station. 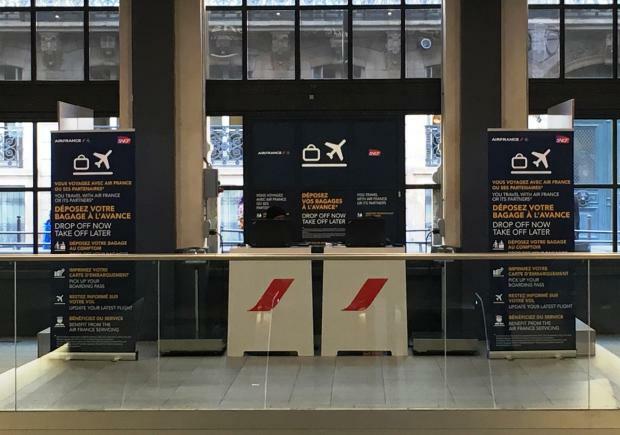 An Air France check-in counter, located at Paris Gare du Nord next to platform 3 opposite the SNCF shop, will welcome customers for three months as from December 17, 2018 from 10am to 7pm Monday to Sunday. Air France, Joon and HOP! customers travelling from Paris-Charles de Gaulle will be able to check in their baggage between 30 hours and 8 hours before their flight. The service costs €15 for the first baggage item and €10 for each subsequent baggage item. Customers' luggage will then be picked up and delivered to Paris-Charles de Gaulle airport. This service is available to customers travelling in the Economy, Premium Economy and Business cabins for flights from Paris-Charles de Gaulle to all destinations, except the United States and Israel. All baggage, with a maximum weight of 32 kg and a maximum dimension of 158 cm, can be checked in. For family trips, a member of the family with parental authority can drop off everyone's baggage. This person must be part of the travelling party and must show all the family's travel documents. This service is an important part of SNCF Gares & Connexions' City Booster strategy, which aims to open up stations in the city and provide improved connections to other modes of transport. It also helps customers travelling to Paris-Charles de Gaulle airport by public transport by taking their baggage and simplifying their mobility. The only other city in Europe offering this service is Vienna, where City Airport Train (CAT) passengers can drop-off their luggage in the CAT city railway station. 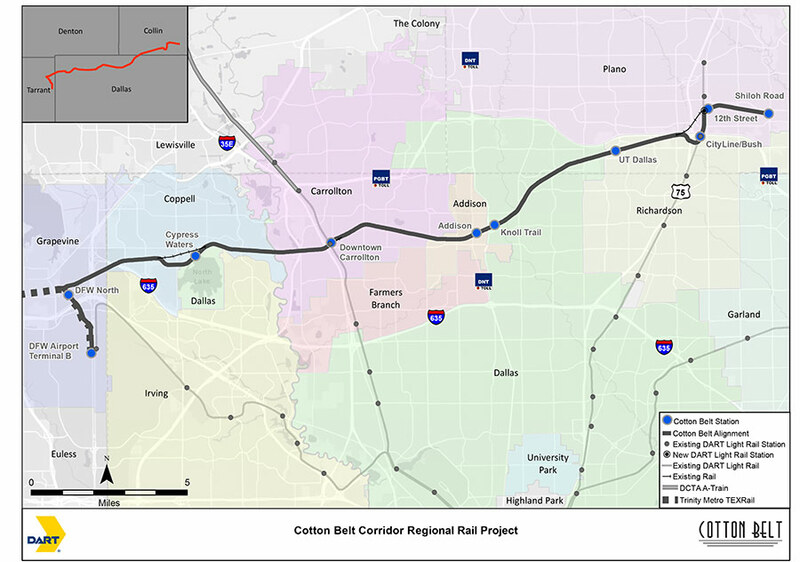 USA: Dallas Area Rapid Transit has approved a $783 million contract for Archer Western and joint venture partner Herzog Contracting Group to design and build the Cotton Belt commuter rail line with assistance from lead designer Jacobs Engineering. The 26-mile line will stretch across North Texas from Dallas Fort Worth International Airport (DFW) to Plano, and it will connect northern areas of Tarrant, Dallas, and Collin counties. Cotton Belt includes 10 total stations as well as interchanges with the DART light rail Orange, Green and Red lines, the TEXRail commuter line to Fort Worth and local bus services. Stations will be located in Dallas, Carrollton, Addison, Richardson and Plano. "North Texas is booming, and this reliable, local transit option will be a welcomed addition for many residents," said David Casey, president of Archer Western's heavy civil division. 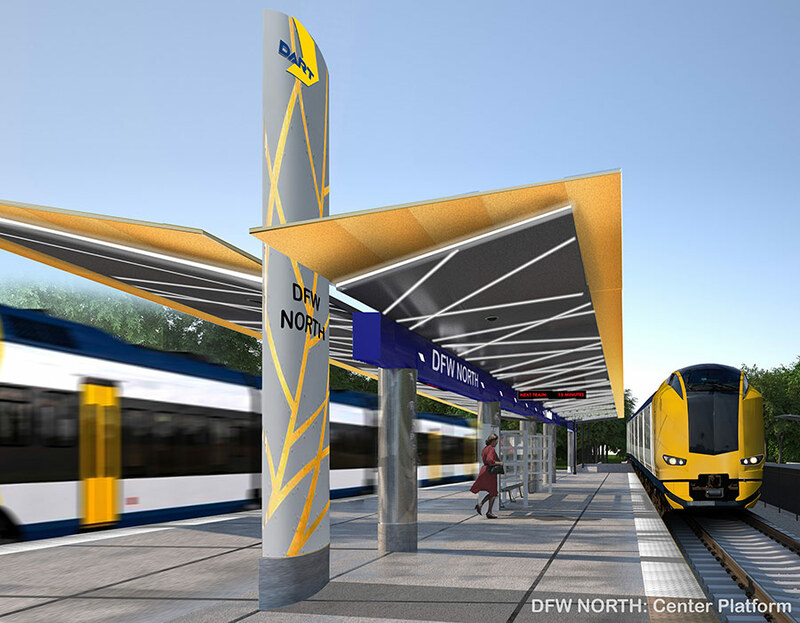 "We are thrilled to partner with DART and connect the communities of North Texas via Cotton Belt's high-quality transit service." In addition to numerous past DART projects, Archer Western and Herzog are delivering transportation infrastructure in tandem across the Dallas/Fort Worth region. The companies are in the final stages of constructing TEXRail, a new 27-mile commuter rail project for Trinity Metro extending from downtown Fort Worth into Terminal B at the Dallas/Fort Worth International Airport. Archer Western is also completing a separate contract for the new DFW Terminal B station, the terminus for TEXRail. Construction on the Cotton Belt line will begin in 2019 with project completion anticipated in 2022. USA: The Federal Transit Administration (FTA) has announced that it has awarded a total of $16.6 million to 20 organizations around the country to support comprehensive planning projects that improve access to public transportation. The funds are made available through FTA’s Pilot Program for Transit-Oriented Development (TOD) Planning, which assists communities that are developing new or expanded mass transit systems. The Pilot Program for TOD Planning provides funding to project sponsors who will integrate land use and transportation planning efforts with eligible transit projects. The grants will fund comprehensive planning to support transit ridership, multimodal connectivity, and mixed-use development near transit stations. FTA’s TOD Pilot Program was established under the Moving Ahead for Progress in the 21st Century Act (MAP-21) in 2012 and continued by the Fixing America’s Surface Transportation (FAST) Act in 2015. The program is authorized through fiscal year 2020. Indianapolis Public Transportation Corporation (IndyGo) in Indiana will receive $320,000 to support planning along the Blue Line Rapid Transit project, a planned bus rapid transit line that will link downtown Indianapolis, the airport and the Town of Cumberland. The operation of the line is planned for late 2022. 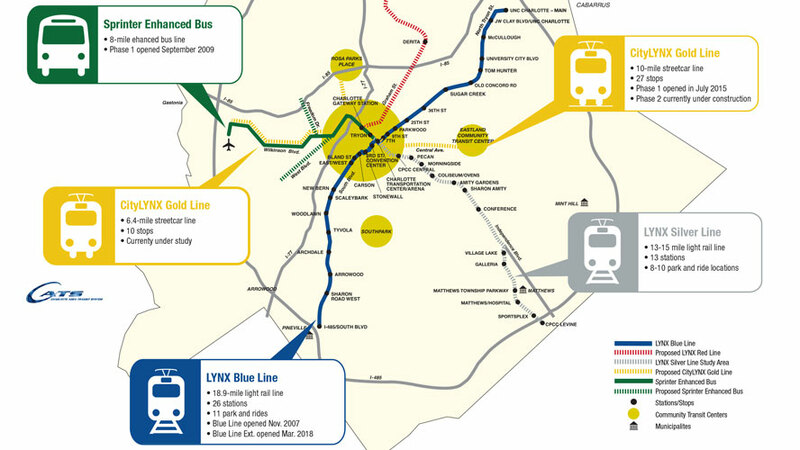 The City of Charlotte in North Carolina will receive $920,000 to plan for development along the proposed LYNX Silver Line, a light rail extension from Gaston County to the Charlotte-Douglas International Airport, Uptown Charlotte, Mathews and Union County. AUSTRALIA: City of Greater Geelong Council has appointed a new committee aimed at moving the fast rail connection between Geelong and Melbourne project ahead. The New Spirit of Progress Committee is an informal partnership between the key regional centres and it will work in collaboration with the state government on urgently needed regional rail upgrades, including the Melbourne to Geelong Fast Rail Project. The report proposes a new 7km regional rail tunnel at Footscray, which could pave the way for expansion of fast rail all the way to Warrnambool, and would also open major new capacity for Metro trains in Melbourne’s west. A new dedicated station at Avalon, which would allow for 27-minute express services from Melbourne to Avalon International Airport is also included in the project report. AUSTRALIA: Premier Daniel Andrews has announced that more than 100 local and global organisations have expressed interest to deliver the Melbourne Airport Rail Link. The Andrews Labor Government has committed up to $5 billion to build this project, which will run from the CBD to Melbourne Airport via Sunshine and form the north-western section of the Suburban Rail Loop. 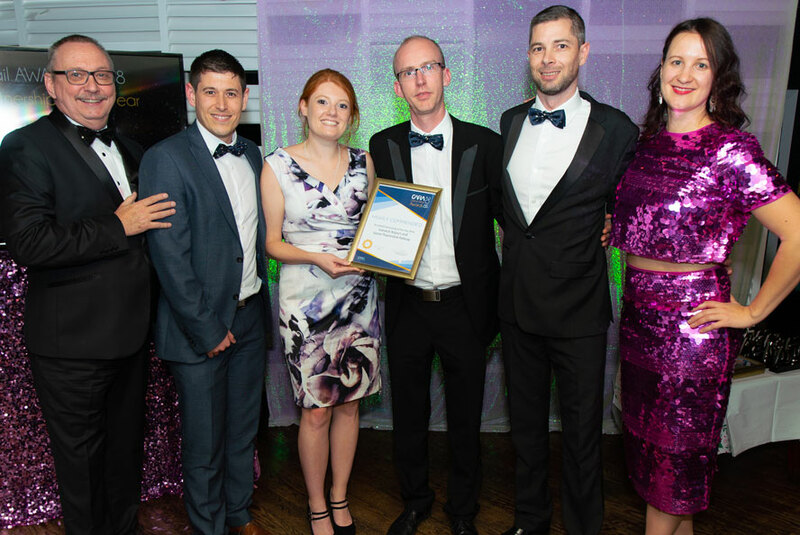 “We are not wasting a minute in getting this project planned, designed and delivered. The Melbourne Airport Rail Link is the next step in our transformation of Victoria’s public transport network and a key part of the Suburban Rail Loop,” Premier Daniel Andrews said. UK: Network Rail has announced that the proposals for a new rail link from the Great Western Main Line to Heathrow Airport have been given a boost with a large majority of people backing it during the statutory public consultation carried out earlier this year. Views were sought from rail users, communities, businesses and other interested parties. 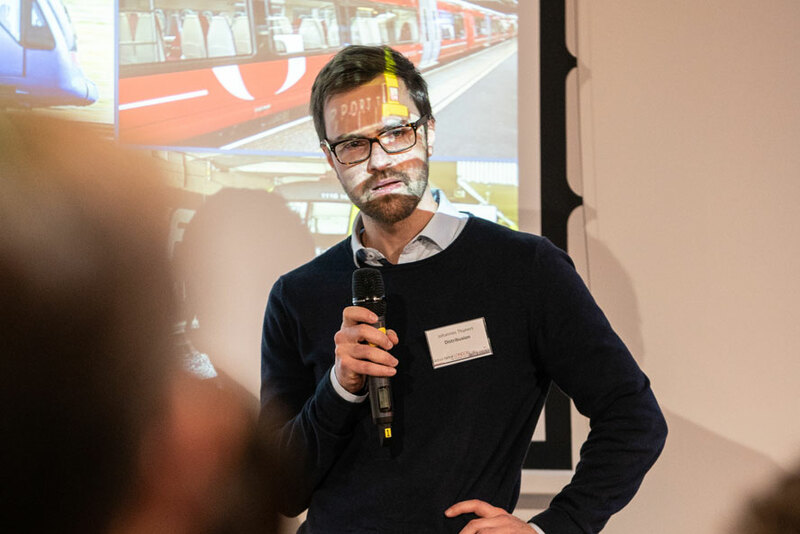 1,333 responses were received via post, email and on Network Rail’s official consultation website, building on the previous 1,000 responses received during two previous rounds of public engagement and consultation in 2015 and 2016. A total of 72% of respondents agreed with the proposals to build the new rail link with 11% of total respondents asking for the industry to speed up delivery of the scheme. 23% disagreed with the proposals with a required road closure in the Iver area being cited as the most common reason for the negative response. 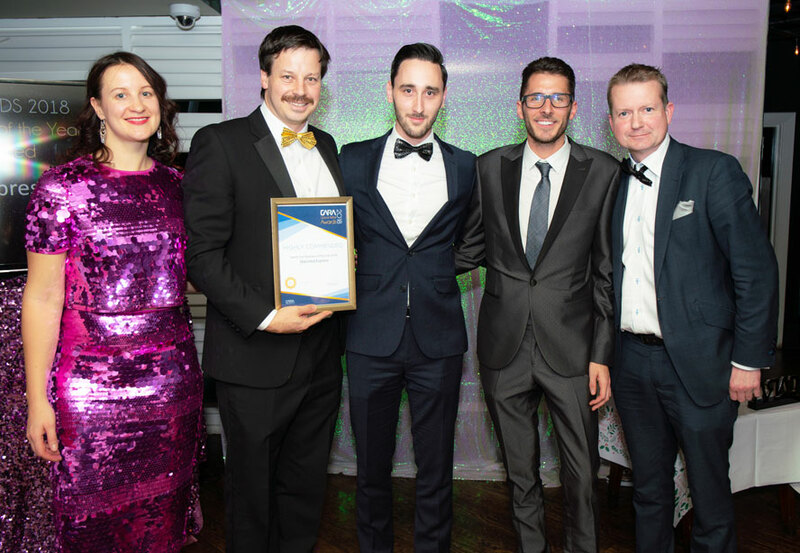 The link would allow passengers throughout the West, and beyond, to travel directly to Heathrow Airport from Reading, Twyford, Maidenhead and Slough, without having to change at London Paddington. 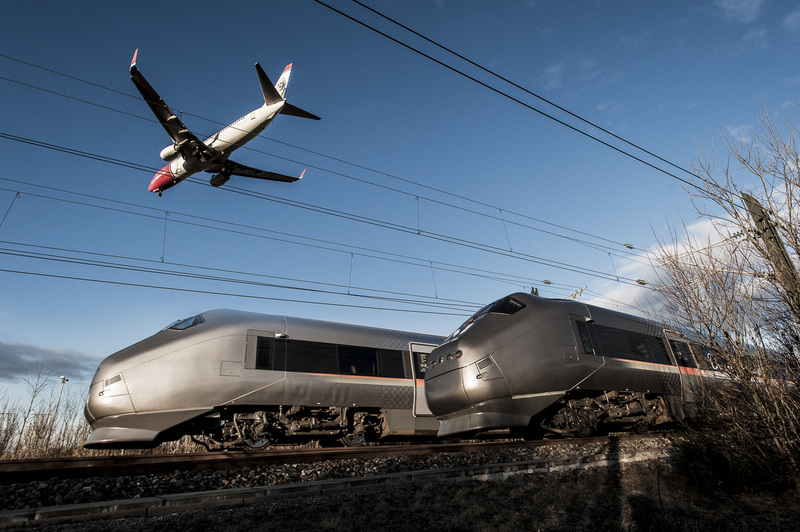 This would make journey times to Heathrow as short as 26 minutes from Reading and just 7 minutes from Slough. It would therefore help ease congestion on the roads, and bring economic growth and new jobs into the Thames Valley and surrounding areas. The plans have been drawn up on behalf of the Department for Transport. 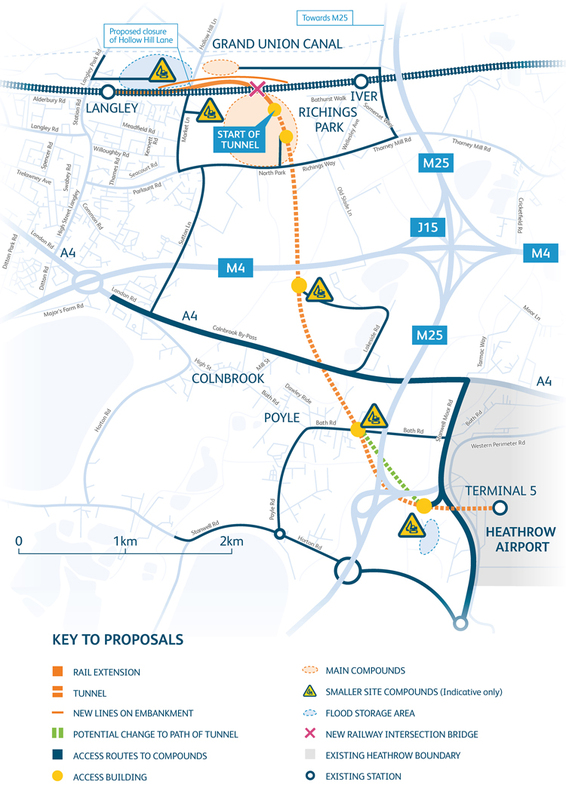 All of the detailed proposals for the scheme are available online at www.networkrail.co.uk/heathrow. 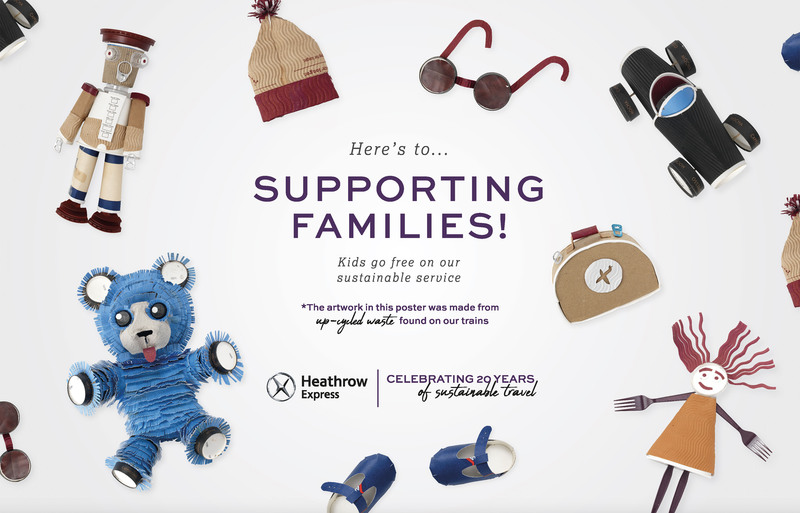 UK: Heathrow Express has marked the 20th anniversary of sustainable service with a 36-metre long poster campaign created using some of the tons of rubbish left on its trains every year, telling the company’s sustainability story over the past two decades. 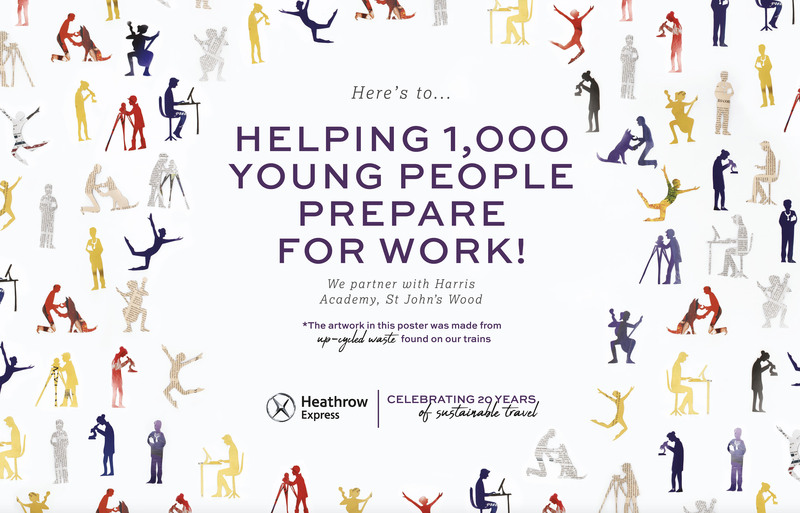 The posters run along the breadth of the Heathrow Express walkway at Terminal 2. Cups, plastic bottles and free newspapers found on Heathrow Express trains have been upcycled into mini works of art by award-winning illustrator and paper sculptor Rebecca Sutherland and photographed for the posters. 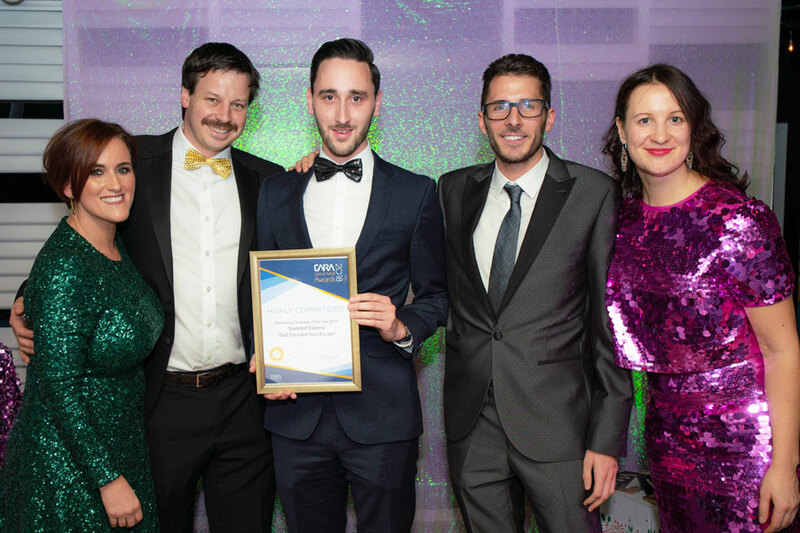 Hundreds of thousands of travellers using the ‘Plane-to-Paddington at Heathrow’ service will now see the company’s sustainability achievements such as how the number of female drivers exceeds the industry average, how none of its waste goes to landfill, the fact that their fleet of trains are all-electric and that children travel for free. 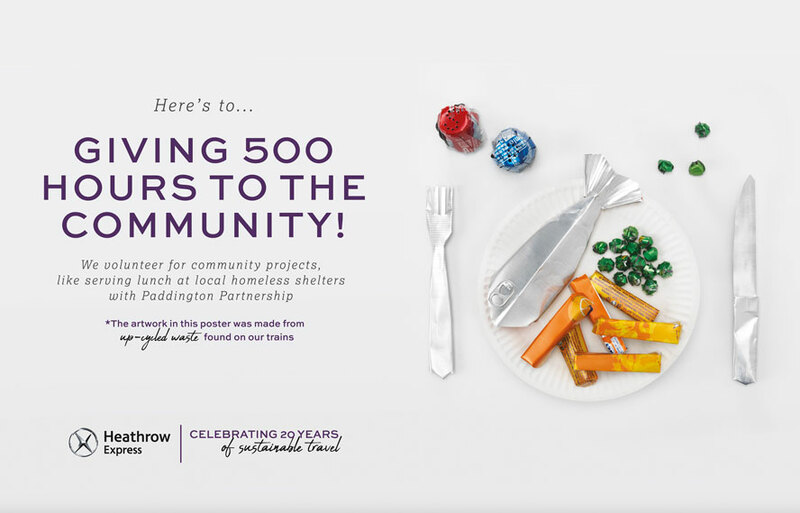 One of the posters, highlighting the 500 hours of community work Heathrow Express has given, features a typically British plate of fish and chips crafted as a clever piece of up-cycled origami. Bottle tops have been repurposed as salt and pepper, a ring-pull used for the fish eye and there is a paper-folded knife and fork. Another, illustrating how the train service has helped youngsters find jobs, comprises a collage of tiny silhouettes and figures cut from newspaper pages, showing people at work. 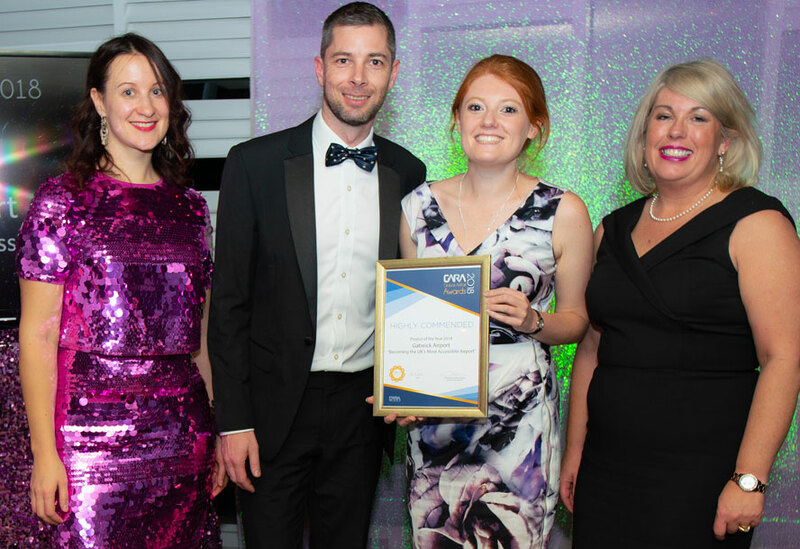 The campaign, which has been devised by brand purpose consultancy Given London, reflects the growing importance of sustainable travel amongst consumers – a reality increasingly recognised by travel providers. Hotel booking platform Booking.com’s 2017 Sustainable Travel Report found that 67 percent of travellers would be willing to spend more on travel options which were more sustainable and TUI has found that its sustainability certified hotels result in better client experiences. Heathrow Express’ sustainability strategy supports the Heathrow 2.0 strategy for sustainable growth. Each of the themes in the posters feed into the four pillars of Heathrow’s wider sustainability ambitions - being a great place to work, a great place to live, a world worth travelling and a thriving, sustainable economy. LATVIA: Rail Baltica Joint Venture is starting the second stage of the procurement of the design and design supervision services for the Rail Baltica section Upeslejas–Riga–Misa in Latvia. This Rail Baltica main line section is 56 kilometres long, involves five municipalities and consists of three subsections: Upeslejas–Riga Central Station, Torņakalns–Imanta and Riga Airport–Misa River. It is one of the most complex sections since it crosses densely populated urban areas and includes the only Rail Baltica tunnel on the whole Rail Baltica route. 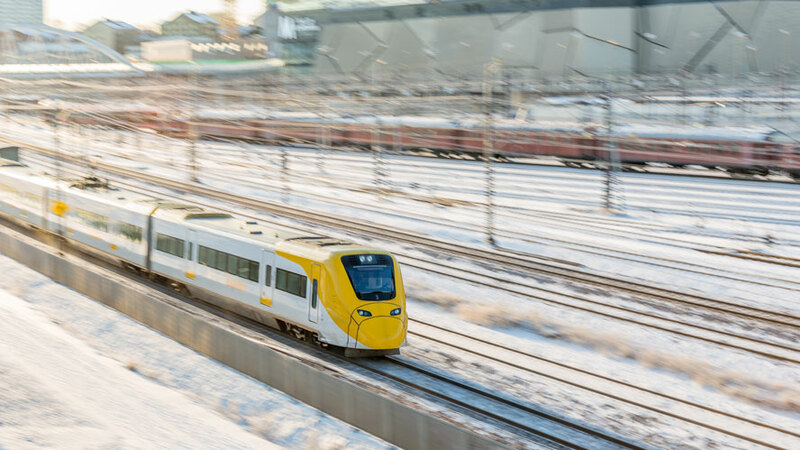 In addition, it is interlinking the Rail Baltica International Passenger Stations in the Riga Central Station and the Riga International Airport. The tender proposal submission deadline is 22 January 2019 and the contract duration will be 24 months during which the selected contractor will develop a master design, value engineering studies, spatial planning solutions and detailed technical design. In addition, the contract includes provision of the design author’s supervision during the construction phase of the line. According to the preliminary plans, 12 road viaducts, 16 rail viaducts, 13 segregated pedestrian crossings, 5 bridges, the second part of the railway overpass in Riga Airport as well as a cut and cover tunnel need to be designed for this Rail Baltica section. Group of suppliers “ACG3I-AMBERG-CONSULTRANS-GEG-GREISCH-GRID-INZENIERBUVE” (Amberg Engineering AG; Amberg Technologies AG; CONSULTRANS S.A.U. ; GEG Gabinete de Estruturas e Geotecnia Lda; GREISCH Ingénierie S.A.; GRID Consultas Estudos e Projectos de Engenharia S.A.; GRID International Consulting S.A.; INZENIERBUVE LLC). Group of suppliers “IDOM-INECO” (IDOM Consulting, Engineering, Architecture, S.A.U. ; Ingeniería y Economía del Transporte SME MP S.A. (INECO)). Group of suppliers “OBERMEYER Planen + Beraten GmbH”. Group of suppliers “Consortium TYPSA – SETEC – TUC RAIL – REM PRO” (Setec International; Técnica y Proyectos S.A. (TYPSA); TUC RAIL S.A.; REM PRO SIA). Group of suppliers “SYSTRA/COWI Mainline through Riga JV” (SYSTRA SA; COWI A/S). Group of suppliers “AIA Latvia Mainline Riga” (Aecom Inocsa S.L.U. ; Italferr S.p.A). The entire Rail Baltica line is divided in 11 sections to be contracted separately for the provision of detailed technical design. By now, the procurement is underway for 6 out of 11 sections. It is expected that the detailed technical design for the entire line will be procured by the end of 2021. 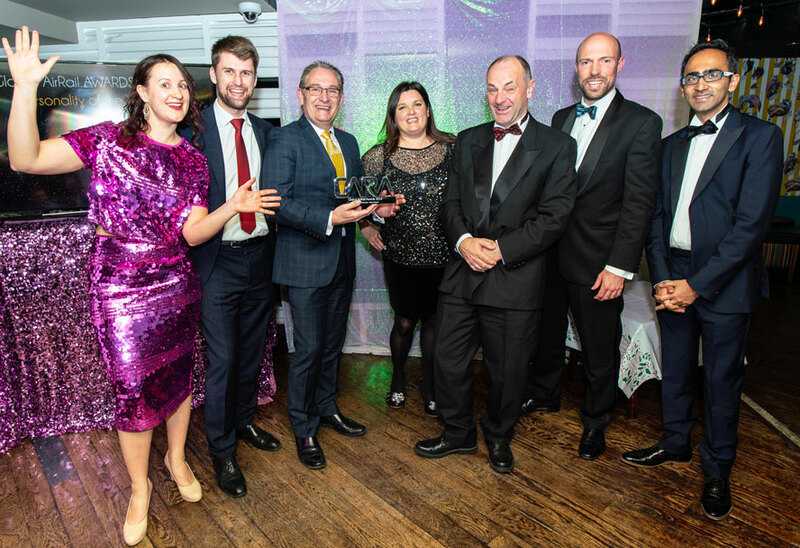 UK: Gatwick Airport held its annual Transport Forum on 12 October, which emphasised airport's commitment to continue increasing the usage of sustainable modes and decreasing road congestion. 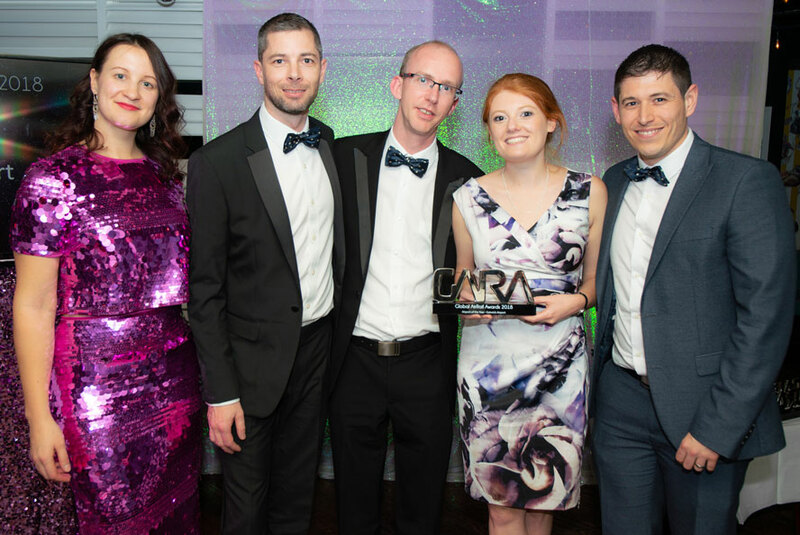 The Forum gave an overview on Gatwick's initiatives to improve surface access for passengers and employees. 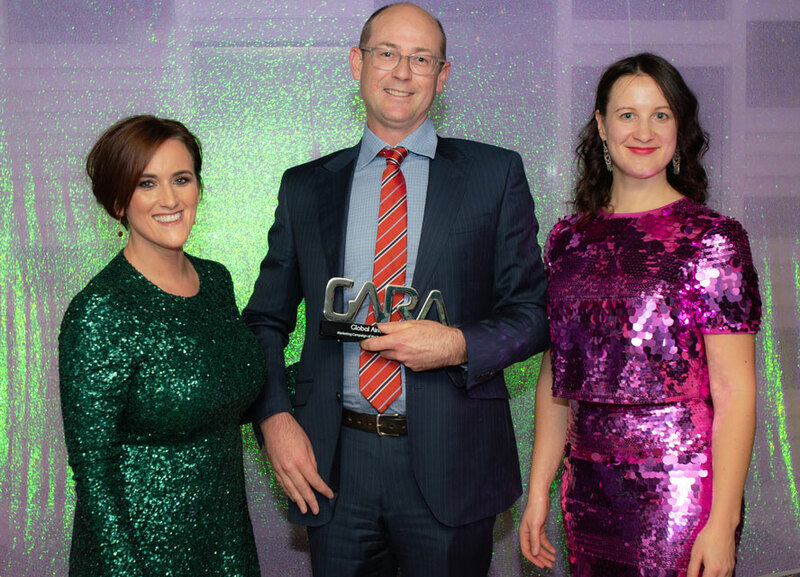 Richard Higgins, Head of Gatwick's Surface Access Strategy said that one of the key goals is to continue to move to sustainable modes and taking vehicle trips of the roads. "In the last twelve months we had a period of disruptions, especially with the rail service. Due to the high frequency of rail services at the airport, we had been partially protected from those disruptions but there still has been an impact on punctuality. Our rail mode share could be at least two percent higher than it is today, if all things ran smoothly," Richard Higgins said. 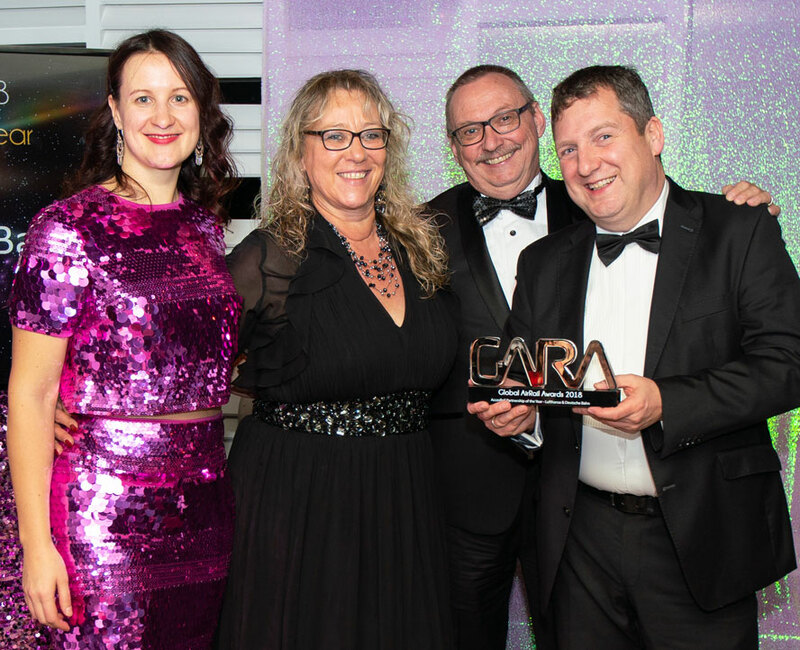 Following on from the Forum, Gatwick Airport has released the draft Master Plan setting out how the airport can meet the growing demand for air travel as the airport estimates to reach 50 million annual passengers by 2020. The draft Master plans details surface access improvement projects, emphasizing that Gatwick’s railway station, as one of the busiest in the country, has been struggling to cope with rising numbers of trains and passengers. Gatwick is working with Network Rail, the owners of the station, to develop plans to expand and improve the concourse areas. This will add more vertical circulation to the busiest platforms to facilitate platform clearance and provide new enhanced pedestrian routes. The proposed scheme will be jointly funded by the airport, Network Rail and DfT, costing around £120m, and is due for completion by 2022/23. 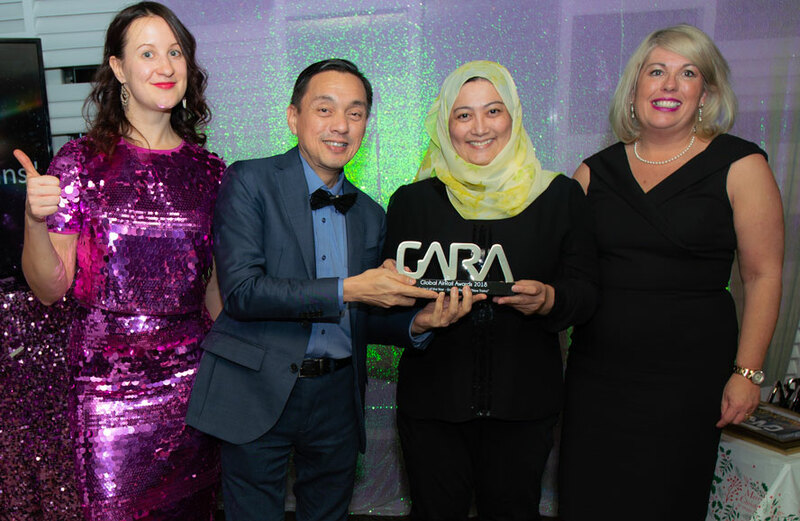 MALAYSIA – Express Rail Link Sdn Bhd (ERL) continues on its aggressive digital partnership drive as it announces its latest collaboration with ROKKI, AirAsia’s in-flight WiFi platform that offers in-flight entertainment and connectivity. AirAsia guests can now enjoy the convenience of buying KLIA Ekspres tickets on-board the flight using their mobile devices. The new facility will save them the hassle of buying tickets at the ticket counter or kiosk upon flight arrival. 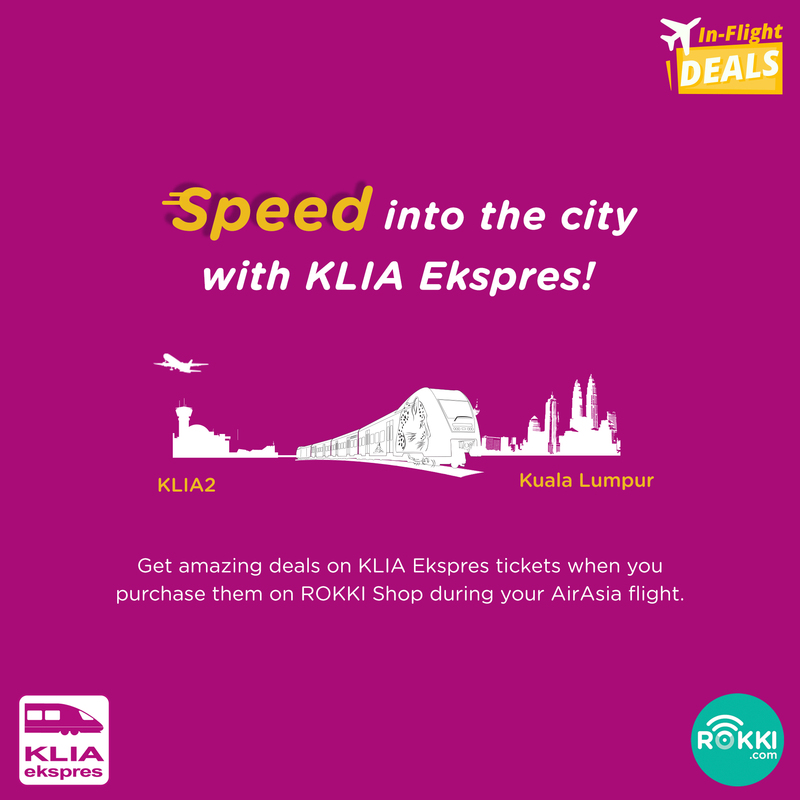 To get started, passengers can simply connect a mobile device to ROKKI in-flight Wi-Fi for free and visit rokki.com to purchase the KLIA Ekspres e-tickets. Earlier this month ERL has launched a Year End Super Saver (YESS) promotion offering fare discounts of up to 27% until 1 January 2019. Besides that, ERL is also offering their KLIA Ekspres+GRAB package at a special price as part of the YESS promotion. 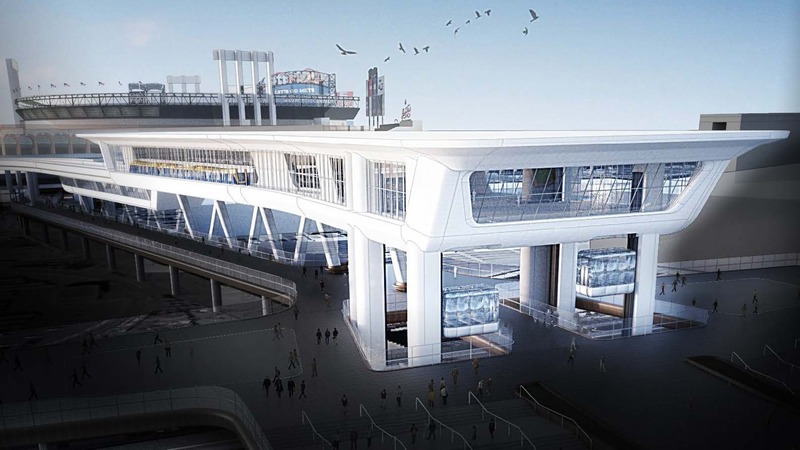 USA: The Port Authority of New York and New Jersey is inviting consultants to submit proposals for the formal environmental review of the planned AirTrain LGA project. Travel times to LaGuardia Airport via automobile have gone up in recent years and have become highly unpredictable due to increased congestion, which is projected to worsen in the years ahead. The alternatives analysis identifies 20 options to improve access to the airport, including exclusive bus lanes, improvements to the existing transportation system, ferry service, five separate potential off-airport locations for fixed guideway terminals, and previously proposed extensions of the Astoria subway line. The alternatives analysis also identifies the Port Authority’s “preferred alternative” as an elevated train operating between LaGuardia and an off-airport station at Willets Point, with transfers to the Long Island Rail Road and the MTA’s No. 7 subway line with direct connections to Grand Central Terminal and New York Penn Station. The Port Authority’s plan calls for two on-airport stations as part of LaGuardia’s $8 billion redevelopment. The ridership analysis submitted to the FAA indicates that between 6.6 million and 10 million annual trips would be taken on AirTrain LGA in its early years of operation. That range would rise to 8.4-12 million annual trips by 2045. A study by Sam Schwartz Engineers, a traffic and transportation planning and engineering firm, found that between 2014 and 2017, the number of days on which peak travel times between LGA and Midtown occurred that were greater than 70 minutes, increased more than fivefold – to 114 days of the year. That represents nearly one in every three days. The unpredictable variability of travel times means passengers must budget more and more time to avoid missing a flight. Today, budgeted time from Midtown is approximately an hour. By 2045, in a world of autonomous vehicles and when LaGuardia’s annual passenger volume is anticipated to grow to more than 40 million up from the 2017 record of 29.5 million, the budgeted travel time to and from Midtown is projected to double to nearly two hours. 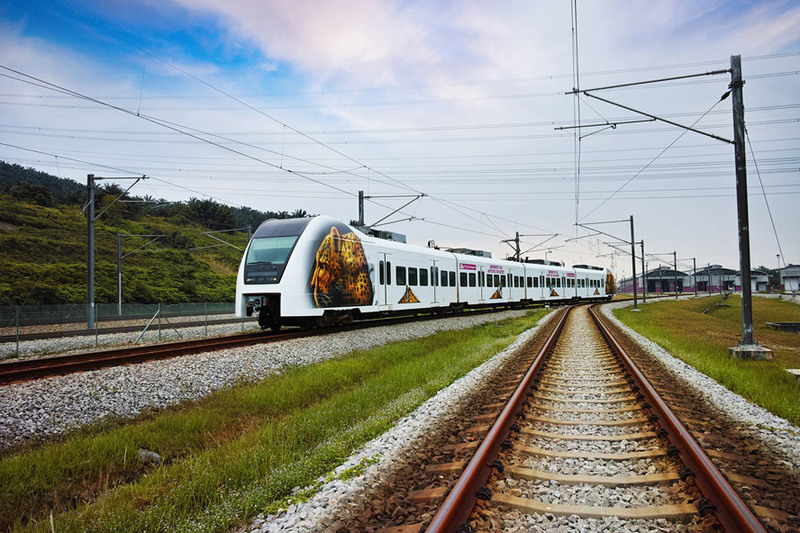 MALAYSIA: Express Rail Link Sdn Bhd (ERL) announced a new partnership with Vidi, an online platform where travellers can find and book travel activities such as tours, attraction tickets, and restaurant deals in over 79 destinations across Asia Pacific. SWEDEN: Starting 16 October, Arlanda Express has launched a new “Early Bird” ticket, whereby passengers will only pay SEK 195 one-way for tickets purchased at least seven days in advance. The new Early Bird ticket can be purchased on the Arlanda Express website up to 7 days before the date of travel, and represents a discount of over 30% on the standard full fare. Adults may be accompanied by up to four children aged 0-17 free of charge. The introduction of the new Early Bird ticket is in response to extensive customer feedback on how they use the Arlanda Express. “Stockholm is a city with a high number of single households, and customers told us that they often travel on their own. We wanted to offer these adults travelling on their own an affordable alternative” says Per Thorstenson, CEO of Arlanda Express. At the same time, Arlanda Express is retaining its campaign tickets that offer discounts to people travelling together. The fare is SEK 350 for a group of two people, SEK 450 for three people and SEK 550 for four people travelling between Thursdays and Sundays. As part of the simplification of the product offering, the existing 90/30/14 day Early Bird tickets, 6 hour ticket, student ticket, and 50-trip travelcard will be discontinued. The price of a standard journey will increase by SEK 15. Up to four children aged 0–17 accompanied by an adult may continue to travel free of charge. “We offer industry-leading punctuality and service. This simplified offering makes it easier for more people to travel with us,” says Per Thorstenson, CEO of Arlanda Express. 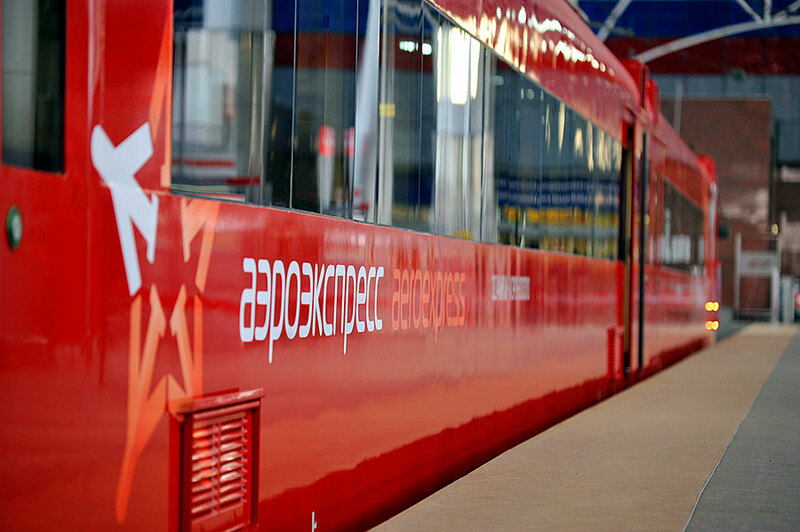 RUSSIA: Moscow airports' express rail service Aeroexpress will introduce several new fares and upgrade the existing ones before the end of autumn. One of the new fares offered to passengers is a "Roundtrip" ticket, which includes two rides on the train for RUB 850, regardless of the way of purchase. Previously similar ticket cost RUB 1,000 when purchased from ticket offices and ticket vending machines. The roundtrip ticket is valid for 30 days and includes two rides in a standard carriage on any of the Aeroexpress routes. From 16 October passengers can buy this ticket from ticket offices, ticket vending machines, online and via the app for the same price. “We have been constantly analyzing the existing fares and try to offer our passengers the most attractive options. “Roundtrip” tickets are in the highest demand, but their price was different depending on whether they were purchased from a ticket office or online. We decided to upgrade this fare and unify the price, thus making it much more beneficial than a taxi ride. On average, one taxi ride from a rail terminal to the airport during daytime costs 650 to 2,000 roubles one way. Our passengers will be able to make two rides at a lower cost,” said Alina Bisembaeva, CEO of Aeroexpress. In November, Aeroexpress is also going to introduce a completely new special offer for two passengers travelling together. This pair fare will be available at ticket offices and company’s employees at the Aeroexpress terminals, as well as via the company’s website and app. NORWAY: Monday 8 October 2018 marks the 20th anniversary for both Oslo Airport Gardermoen and Flytoget Oslo Airport Express. CEO Philipp Engedal is optimistic about the company’s future and looks forward to celebrating the anniversary with both customers and employees. 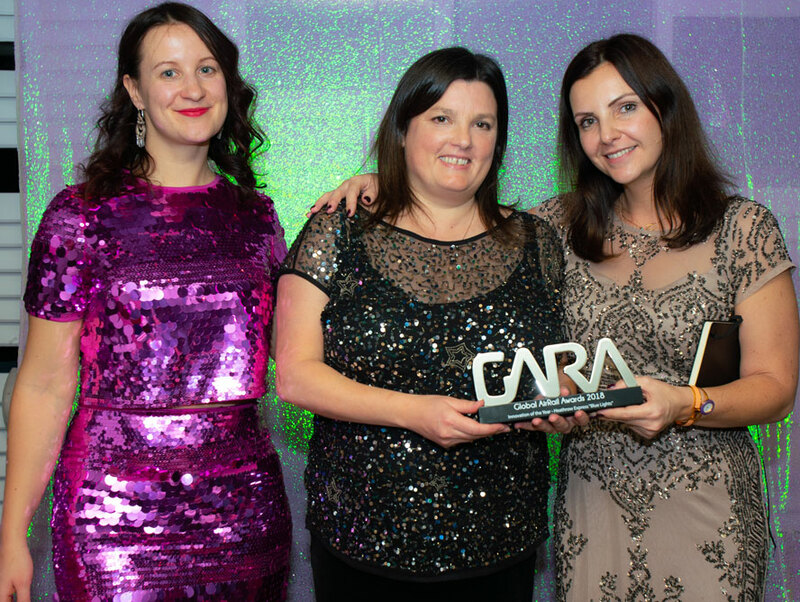 “We are celebrating 20 years of proud history and great results and it is very rewarding to conclude that we are stronger than ever. In 2018 Flytoget will see an all-time high in terms of both passengers and turnover we have a stable customer satisfaction of 97%. We have 312 wonderful employees and over 100 million travelers to thank for these results”, says Engedal. 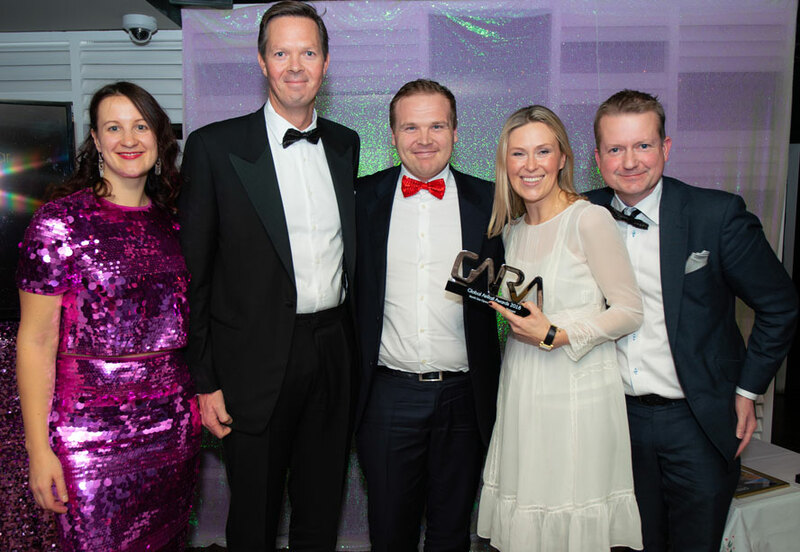 Since the beginning Flytoget has generated more than 1,5 billion NOK in dividends to the state of Norway, contributed to the fact that over 70% uses public transport to and from Oslo Airport, and has won numerous awards for their outstanding level of service mindedness. 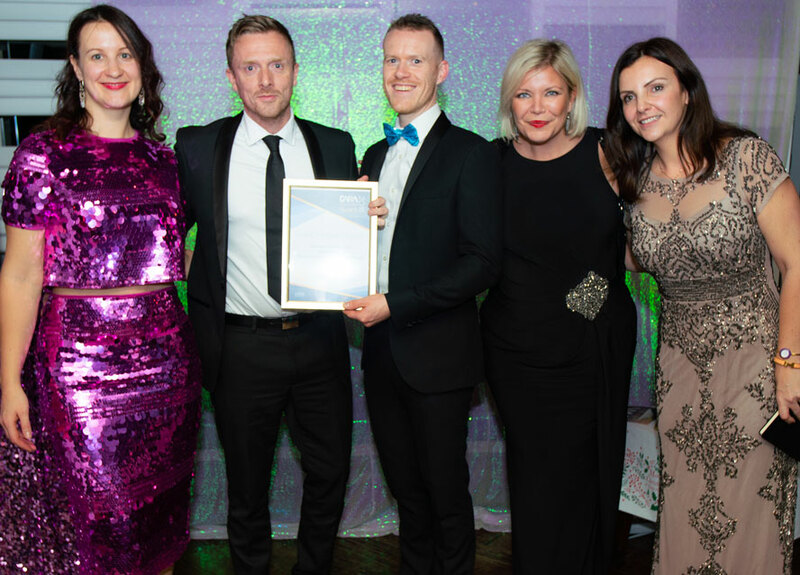 “In 2019 we get our brand-new Airport Express Trains, and I must say I look forward to the next 20 years with my dedicated and enthusiastic group of employees,” concludes Engedal. To mark the occasion Flytoget will serve coffee, breakfast and cupcakes to their passengers travelling on Monday.